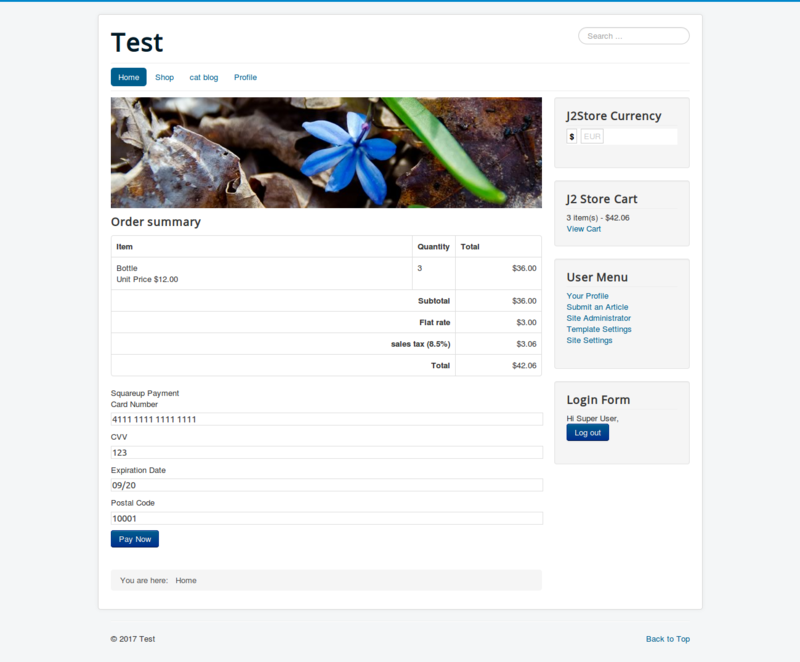 This plugin integrates Square API with J2Store Joomla eCommerce solution. 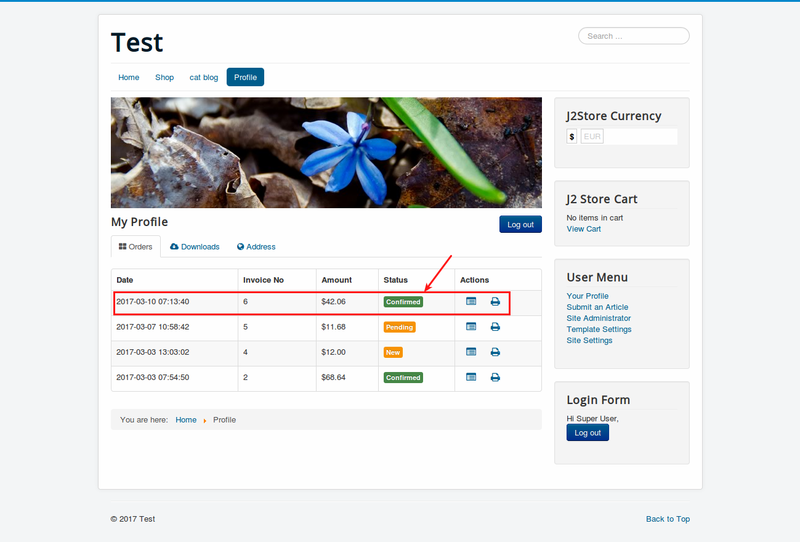 Our plugin accept all major credit cards with J2Store. The Square API provides a secure form for the customers to enter the card details. If you are already using Square POS for your offline store, then this plugin will help you use accept payments in your online store. Thus your payments are kept in one gateway. 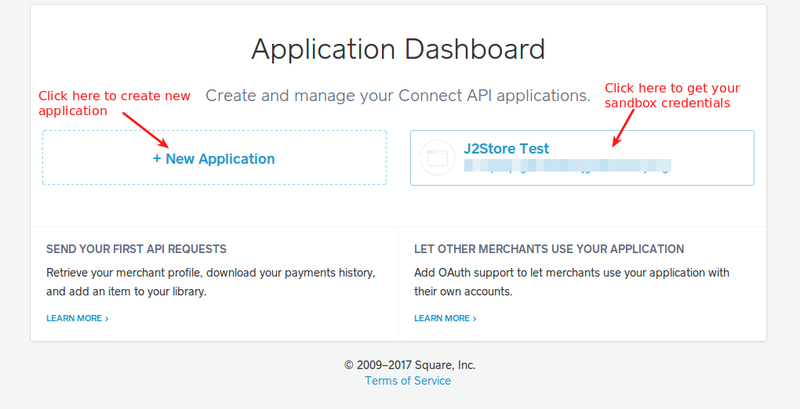 The plugin ONLY implements the payments API of Square. That means it does not sync inventory between your Offline POS and the Online store. Download our Squareup payment plugin from our site and install it using Joomla installer. 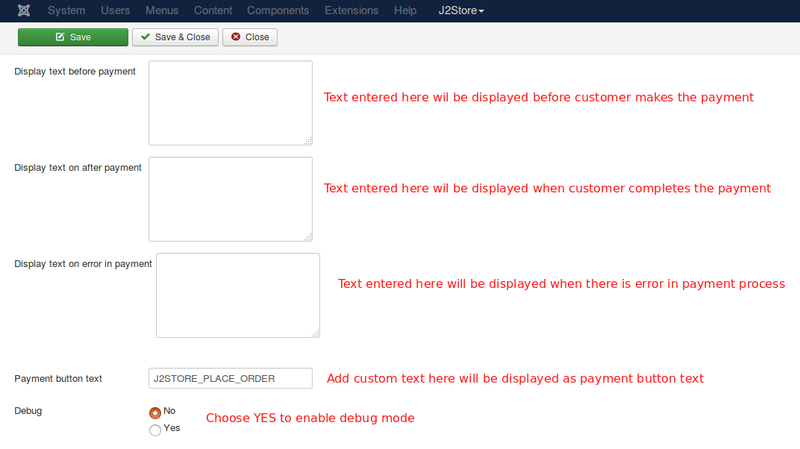 After installing plugin, go to J2Store > Setup > Payment methods and enable Squareup Payment. Once enabled, open the payment plugin and configure the basic settings of the payment plugin. Where to find your Application ID and Access token for your sandbox account ? If you don't have any existing application, click on New Application to create new application. 3. If applications exists, Click the application you want sandbox credentials for, then refer to the Sandbox section at the bottom. 4. Copy the application ID and access token and paste them in our Squareup payments plugin configuration page. Enter the payment title here. Title entered here will be displayed at checkout payment methods section. If you leave this empty, default payment title Squareup Payment will be displayed. Add logo image for your payment option here. Image added here will be displayed at checkout payment methods section. Enter the Applicaton ID associated with your Squareup payment account. Enter the Access token associated with your Squareup payment account. Once entered Applicaton ID and Access Token, save. After saving, the Location parameter will show the list of locations available. Choose your desired location from the availble list and save. 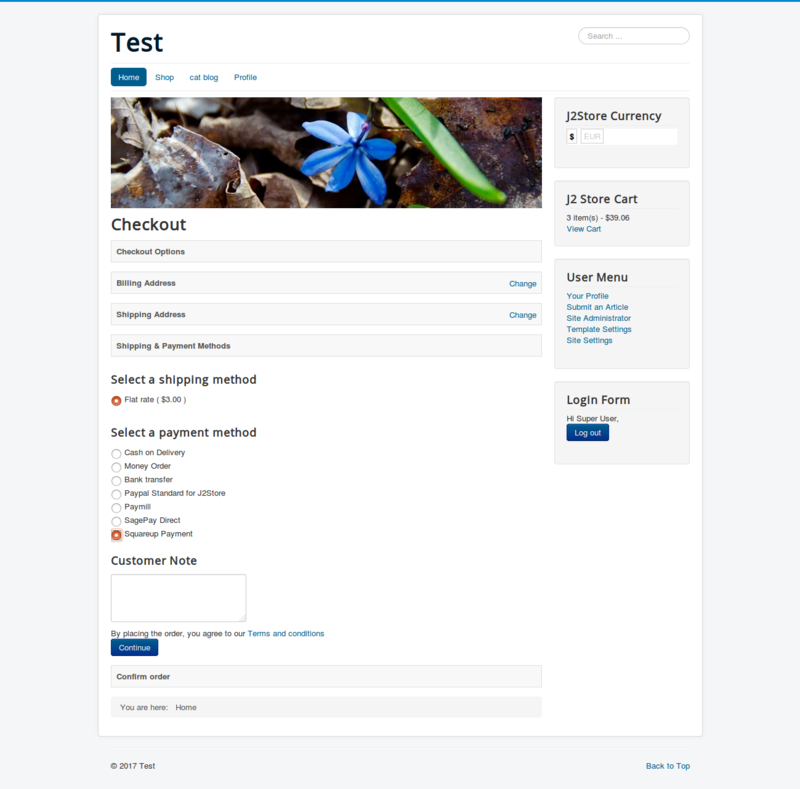 Squareup payment offers you the sandbox feature to test your store in test mode. Choose YES to use Squareup payments in test mode. If you are using Squareup in test mode, enter the Application ID of your Squareup's test account. Enter the Access Token of your Squareup's test account. Once you entered your test account's credentials, save. The location will be available. Choose the location from available list and save.